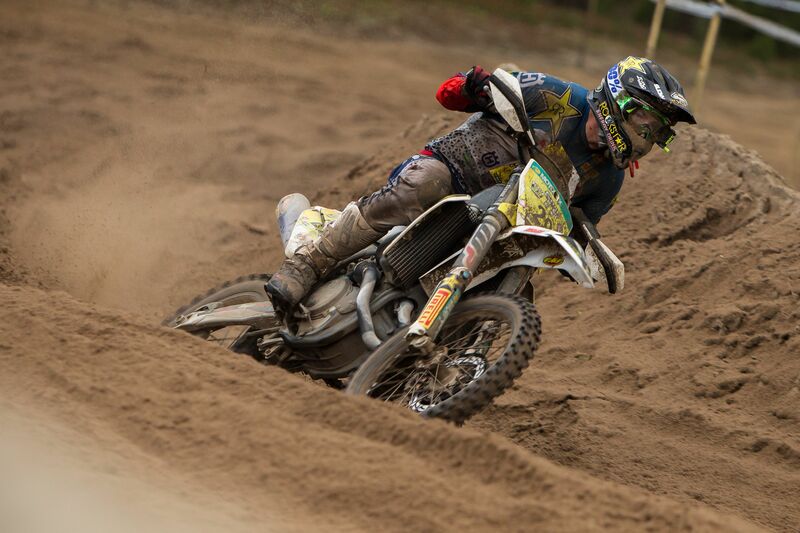 Rockstar Energy Husqvarna Factory Racing’s Yentel Martens has secured a strong runner-up result at round five of the Championnat de France des Sables in Grayan-Et-L’Hôpital. Fighting tooth and nail with his closest rival Nathan Watson, Martens just lost out on the final lap of the two-hour 30-minute long race, finishing a close second. Returning to competitive action in the French Beach Race Series following the Christmas break, Martens took to the start line of the 518-strong entry eager to show his speed. From the off, the Husqvarna FC 450 rider set the pace to lead the proceedings at the end of lap one. Out front for the opening six laps – of an eventual 12-lap event – the Belgian then faced a lengthy battle for victory with Watson during the second half of the race. For a further six exciting laps, the duo were wheel-to-wheel, with neither rider refusing to yield. However, with Watson upping his pace on the final lap, Martens narrowly missed out on the win but secured a well-deserved runner-up result. The sixth and final round of the Championnat de France des Sables takes place at Enduropale le Touquet on February 3.